Pink eye (medically known as conjunctivitis) is an inflammation of the conjunctiva, or the outermost layer of the eye. The conjunctiva is responsible for lubrication of the eye, and is solely responsible for mucus and tear production. The conjunctiva also prevents microbes from entering your eye. An irritation can lead to your eye being red and swollen, which is what pink eye actually is. The infection will run its course on its own in 7 to 10 days, but you can always speed up the process. Before we go to the home remedies for pink eye, we must first classify the infection. There are three types of pink eye infection: viral, bacterial and allergic. The most common pink eye is viral, which is typically manifested by clear and watery drainage. Viral pink eye is contagious, and you should be careful not to touch your eyes. You can get viral pink eye by swimming in a pool. Viral pink eye starts in one of the eyes, and then moves to the other and is not treatable with antibiotics. For viral infections, only home remedies help. Bacterial pink eye, also contagious, is manifested by greenish yellow drainage in the eye. There is very little difference between a bacterial and viral pink eye infection, as both start in one eye and move to the other. Both are contagious, with the sole difference that aside from home remedies for pink eye, bacterial infection can be treated with antibiotics as well. Allergic pink eye results from an allergic reaction to pollen, cosmetics, perfumes, animal dander and chemical products. An allergic infection occurs both eyes, and the drainage is clear and watery. Allergic pink eye disappears sometimes when the allergen is removed. In other cases, you need some treatment. Now let’s take a look at the common home remedies for pink eye. You’d be surprised how effective honey is when treating pink eye. There are countless studies proving honey has high antibacterial, antiviral and anti-inflammatory properties, and for centuries, it has been known as a regular folk remedy. So, what do you need? The ingredients include ¼ teaspoon of honey, ¼ cup of pure water and some salt. Dissolve the salt and honey in water (use lukewarm water, not hot water). 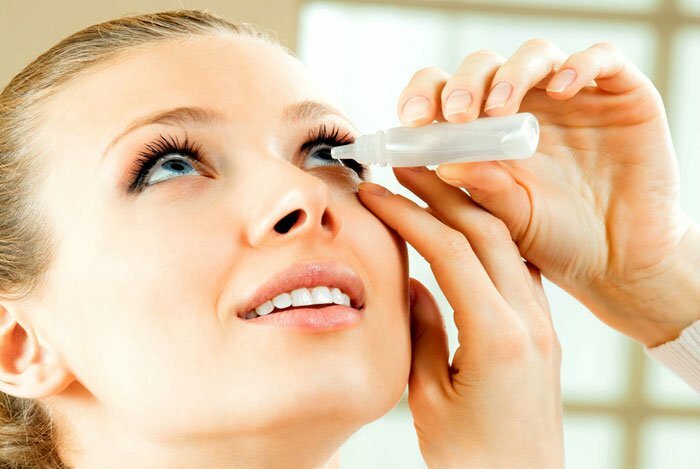 Once the ingredients are dissolved, use a clean eye dropper and place one to two drops in each eye. Repeat after a few hours if needed. Breast milk is rich in antibodies that stimulate the immune system and prevent diseases and bacteria. You can drop breast milk directly onto the surface of the eye (of course, this works only if you are breastfeeding). Milk and honey, while they are great remedies on their own, are even more potent and effective when combined. You can use any milk, but the best is almond or coconut milk. Mix one tablespoon of honey with enough milk, and once you get smooth mixture, dip a cotton ball in it. Use the cotton ball as an eye dropper and drop few drops on each eye. Warning: this remedy will sting for few seconds, but it is well worth it if you can withstand the pain. For years, silver solutions have been used for treating eye infections. Silver nitrate might be a little too much and irritating for your eye, so use colloidal silver instead. Simply use an eye dropper to drop 2 drops in each eye, three times per day, until the infection is gone. Chamomile, calendula and fennel—all of these herbal teas can be used to prepare a hot compress that you can put against your eyes to relieve pink eye symptoms. Another tea you can use is eyebright tea, which can be taken orally in capsules or in tea form. One thing to note, though, is that people allergic to ragweed should avoid calendula and chamomile tea. For those who want to use tea as home remedy for pink eye, simply brew some tea, let it cool, and use an eye dropper to put it your eyes. Most overt-the-counter eye drops contain some saline in them, so why not prepare the remedy at home, instead of buying OTC medicaments? Make sure to use distilled water to eliminate risk of contamination from chemicals in the tap water. Boil a cup of water, add one teaspoon of salt, and let the salt dissolve in the water. Allow the solution to cool down, and then use an eye dropper to place a drop or two in the eye. You can use the salt water both as a solution for pink eye and as nasal solution for sinus infection. Sometimes the simplest solution is the best one. And in this case, that solution is warm or/and cold compress. However, make sure that you use a clean washcloth for each compress and for each eye. This way, you are preventing the virus or bacterial infection from spreading to the other eye. We are at some of the unconventional home remedies for pink eye here. Get some fresh, raw potatoes, and cut them in thin slices. Press the slices against your eyes, and let them stay there for five to ten minutes. Remove the potato slices and rinse your eyes with water. Boric acid has antiseptic properties, which is one of the reasons why people use it for cuts and burns. Additionally, boric acid acts as an antibacterial remedy, which is the reason why you can and should use it for pink eye. Mix boric acid with water, and then use the solution as an eyewash. One of the best plants when it comes to anti-inflammatory properties, goldenseal also acts as an antimicrobial agent. To kill off any bacteria in your eye using the plant, mix two teaspoons of goldenseal and one cup of boiled water. You can dip a washcloth in the solution and use it as compress against your eyes. Alternatively, you can prepare the solution as eye drops by mixing chamomile, comfrey, a cup of boiled water, and 1/8 teaspoon of goldenseal. Steep for 15 minutes, strain the solution, and then place few drops in each eye. The vinegar’s acidity will kill almost any bacteria or virus inside your eye. And it is not like you are using an untested remedy. Apple cider vinegar carries known antiviral and antibacterial properties. 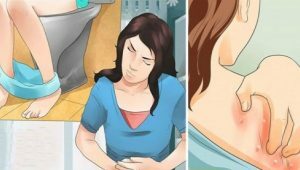 For this remedy, mix one cup of boiled water and one teaspoon of apple cider vinegar. Use a cotton ball and dip it into the mixture. Squeeze the excess liquid from the cotton ball and rub your eyelid from top to bottom with the ball. If you can tolerate the solution, get another cotton ball or eye dropper, and drop two drops into each eye with it. For maximum effects, use the remedy a few hours before going to bed, effectively allowing your eyes to rejuvenate during sleeping. When you are suffering from an allergic reaction and infection, one of the simplest remedies is a hot bath or shower. The steam from the bath or shower will cleanse your eyes and remove all allergens. Do this before going to bed at night. 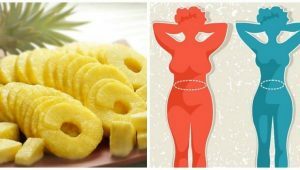 If home remedies are not helping in the first two to three days, you should try other alternatives. For example, an allergy medicine is recommended for mild allergic conjunctivitis. If it doesn’t go away, you are probably suffering from viral or bacterial reaction. In those cases, you need antihistamines, a natural way your body reacts to allergens. As a last resort, another way to treat pink eye is over-the-counter eye drops. The advantage of eye drops is that they soothe the dryness of the pink eye and wash the eye from contaminants at the same time. Pink eye is a very painful condition accompanied with constant discharge, discomfort & itchiness. Pink eye may be serious and requires medical attention. These home remedies work wonderfully to treat this eye problem. Thanks for sharing.